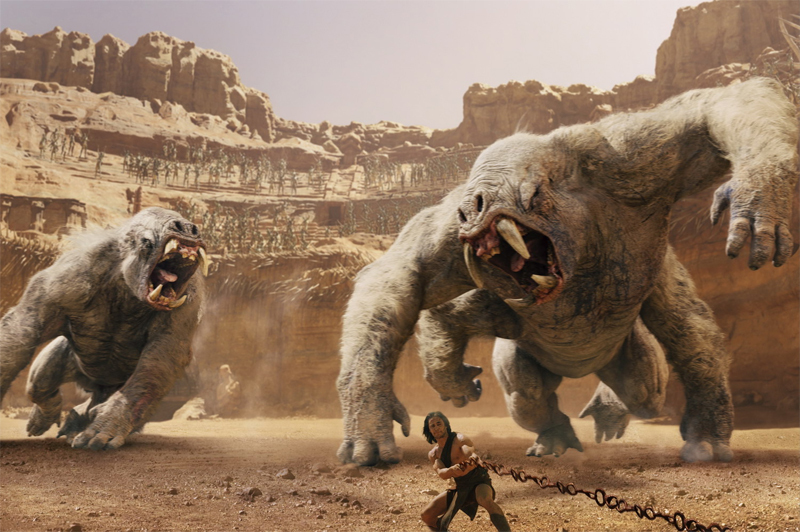 Pixar alum Andrew Stanton’s first live-action feature John Carter delivers a stunning blend of cutting-edge CG visual effects and gritty images that are grounded in the real world. Edgar Rice Burroughs’ Mars novels have long been an inspiration for animators. In 1935, Bob Clampett famously tried to turn A Princess of Mars into the first feature-length cartoon in history, but had his dream dashed when MGM executives canceled the project and Walt Disney’s Snow White earned the distinction upon its release in 1937. 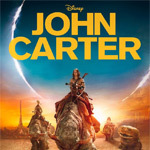 This month, a new state-of-the-art version of Burroughs’ novels has graced the big screen with full Disney support—the Andrew Stanton-directed John Carter (“of Mars” was dropped from the title to attract a female audience averse to science fiction, according to one theory). This time around, our hero is not only tasked with bringing unity to Barsoom (the Martians’ name for their home planet), but must also reconcile an increasingly complicated division between animation and live-action filmmaking, transporting us into the realm of hybrid cinema. This fertile new territory is not exclusive to Stanton or John Carter, having been prospected by a wide variety of talents. 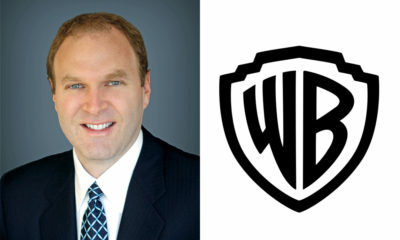 Recently, household-name blockbuster directors have taken up the cause with studios’ millions behind them. Robert Zemeckis led the charge with his fully committed, ill-fated ImageMovers experiment (also backed by Disney), but it was not until James Cameron stunned everyone with the game-changing Avatar—which, incidentally, exhibits a science-fiction vision indebted to Burroughs’ Mars novels—that this innovative space was hailed as a potential future for cinema. Last year, even Steven Spielberg joined the trend with his take on Hergé’s The Adventures of Tintin. 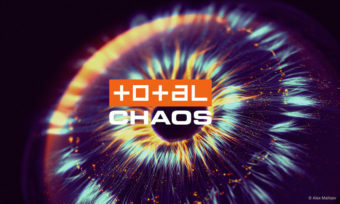 All of these notable examples have a common thread: directors enamored with the complete control offered by the animation-rich disciplines of performance capture and digital world making. Coming to this mixed space from an animation background at Pixar, Stanton can’t help but approach things a little differently. 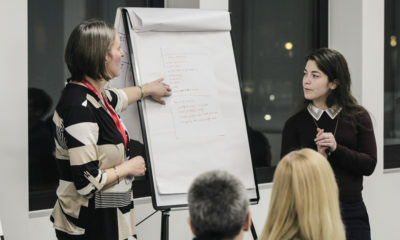 Surrounding himself with executives and crewmembers that have also worked in the medium, he assembled a team well versed in making entirely CG features. They spoke naturally about building environments, relying on animators to craft performances and maintaining believability. 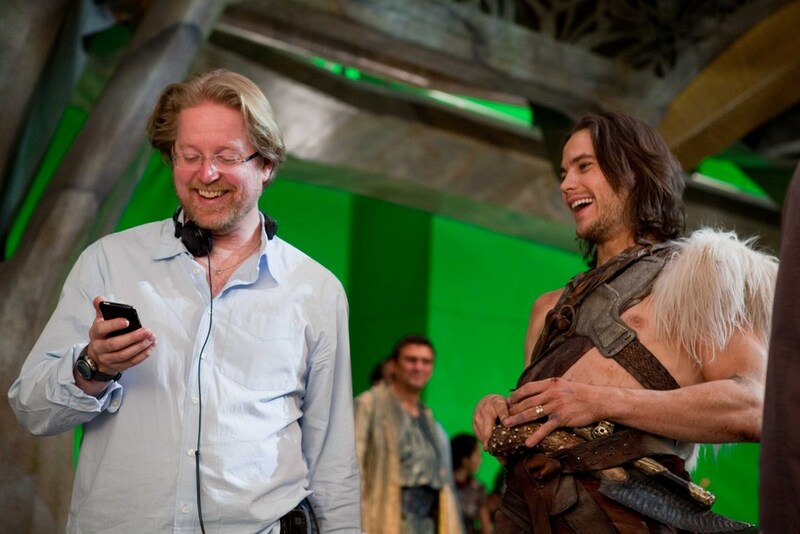 The challenge they set for themselves on John Carter was to understand the real world and then to transform it into something alien but true—to make Utah look like Mars, to make a frame seem more real and to turn actors on stilts into nine-foot–tall green men. Having worked with virtual images for so long, they appear to have been seduced by the idea of preserving something real in their virtual, rather than creating a synthetic environment that conforms to the images in their heads. 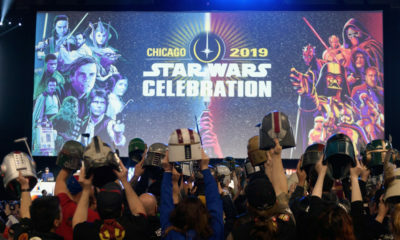 By all accounts, Stanton is a stickler for the details, and went to great lengths to capture as much real-world information as he could, filming over 100 days on location and creating approximately 1,800 costumes for the actors and 1,000-plus extras who worked on the film. 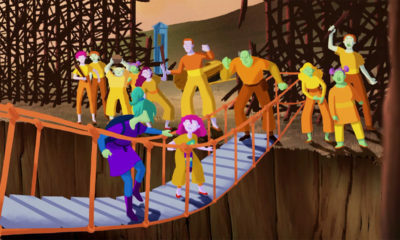 These real-world images formed a strong basis for the final film, which exhibits an estimated 50/50 ratio between animation and live-action shots (vs. Avatar’s 99 percent synthetic world). 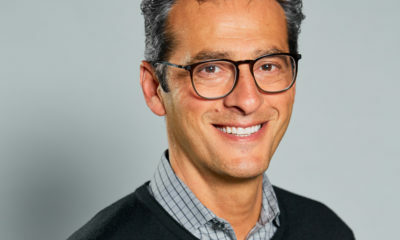 To achieve this sort of balance, Stanton chose his director of photography with care, electing to work with Dan Mindel, whose credentials include an apprenticeship with Ridley and Tony Scott and principal photography for the J. J. Abrams Star Trek reboot. 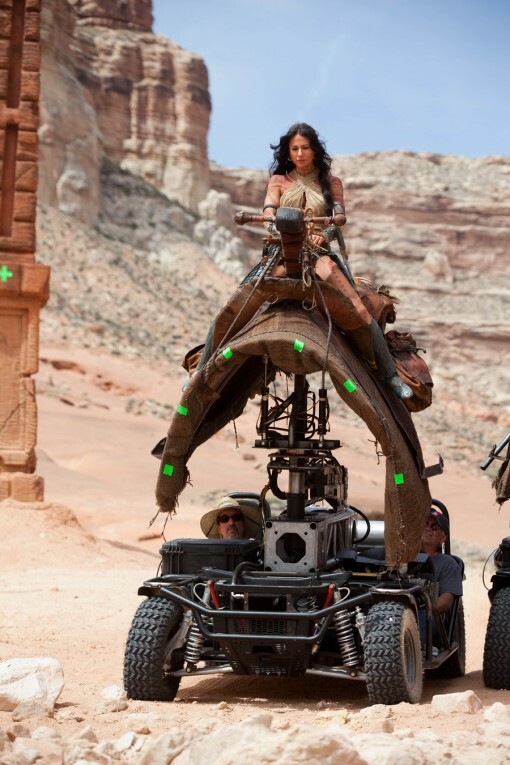 Visual effects on John Carter were primarily the responsibility of Double Negative, a London-based company Stanton turned to when the Pixar pipeline overloaded. For two months, Stanton worked over footage by phone with Double Negative, Cinesite, MPC and Nvizage/Nvizible, locking a scene once the appropriate degree of manipulation had been achieved. In the process, they developed a distinct look for the Martian landscape—one characterized by slight alterations to the scene as photographed. To further ground the fantasy of John Carter in reality, Stanton took a major cue from Star Wars (another science fiction blockbuster indebted to Burroughs’s\ novels) and made his science fiction dirty, using the natural dust and debris of the desert as much as possible. It was important, too, that even the fantastically CG Martians be grounded in this harsh environment. The actors who played the aliens were shipped to Utah and made to perform with the rest of the cast in the desert, rather than in the controlled environment of a booth or sound stage. “It makes a big difference to the human character actors to be reacting to other actors and gives a base and integrity to the reality of the scenes,” affirms Willem Dafoe, who plays Tars Tarkas, the king of the Tharks, the towering green warrior race John Carter befriends. 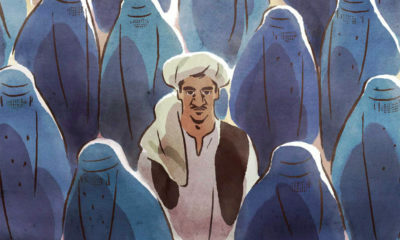 While being on location certainly made a difference for Dafoe and his fellow actors, when their images were migrated to post-production and layers of animation applied, Stanton found himself in familiar territory. “It is really the pairing of a great actor with a great animator that gives you the performances you have been the most impressed with so far in cinema,” he says. 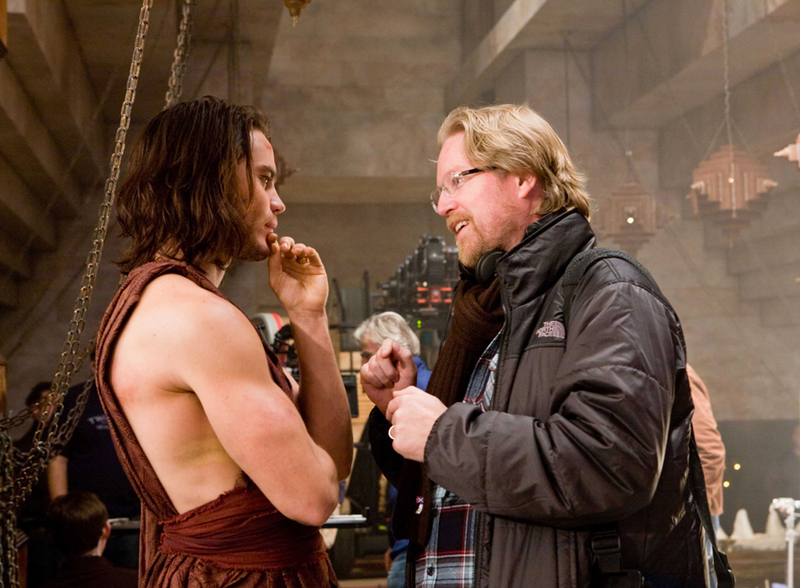 The image of two halves coming together to make a whole is a figure often repeated by the cast and crew on John Carter as they try to explain the hybrid filmmaking process they engaged in on many levels. It is appropriate, as Stanton and Andrews decided to make division an integral part of the film. Although Burroughs wrote his Barsoom novels in serial and prolonged the conflicts of Mars to create ever more intricate plots, John Carter ends on a note of reconciliation between its factions. The war comes to an end, the princess is saved and John Carter emerges a hero with a destiny. Like the characters that participate in this truce, the different aspects of the film’s imagery hold together in a tenuous unity that may not be quite right for its time. Like its literary progeny, the film will likely acquire a cult following. And perhaps a hundred years from now, creative minds will look back on it as a source of inspiration as they attempt to forge a new entertainment medium. Disney’s John Carter opened in theaters all over the world in early March. The film brought in $30.6 million ($70.6 million international) during its first weekend at the box office. Jake Gerli has edited numerous books on cinema, many of them dealing with animation; another with barbarian movies. He wrote a chapter of his dissertation on the classic Johnny Weissmuller Tarzan films. He lives in Nashville, TN.